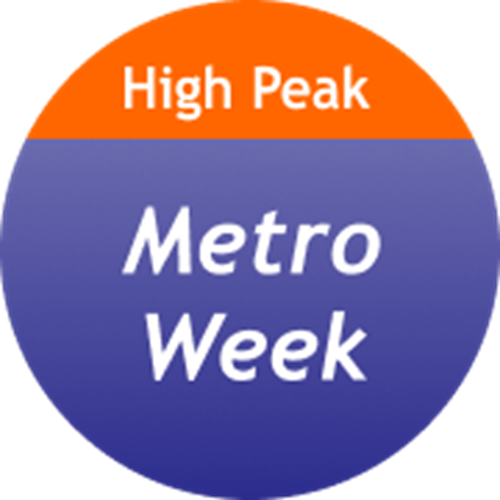 This new ticket is a fixed price day/weekly season ticket sold on bus, and valid for unlimited travel on High Peak buses within the System One area. A 50% discount is available to IGO card holders, but no discount is available for other customers (including b_line). Click here to see our Metro ticket map. Not Valid on transpeak between Hazel Grove and Manchester. Not valid on Skyline between Hazel Grove and the Airport before 09:00. The PeakPlus costs just £7.50 for Adults, £5 for children and £15 for a Family Ticket (upto 2 adults and 3 children aged 16 or 2 adults, 2 children & 1 dog). Buy from your High Peak driver today! 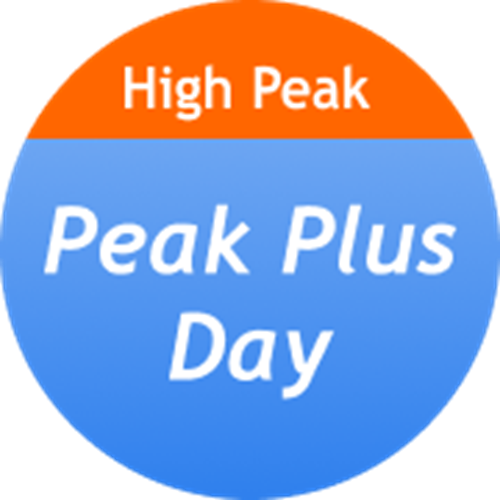 Click here to see our Peak Plus map. 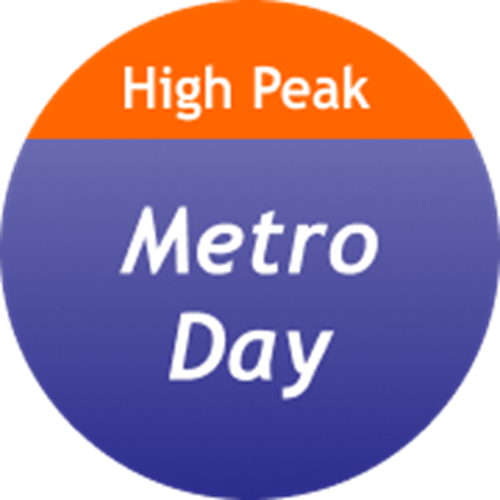 The PeakPlus Xtra is our day ticket in conjunction with TM Travel, which is valid on all services operated by High Peak & TM Travel Services within Derbyshire, including: travel to/from Macclesfield, Derby, Buxton and Matlock and travel with TM Travel to Sheffield. The PeakPlus Extra costs just £12.50 for Adults, £8 for children and £23 for a Family Ticket (upto 2 adults and 3 children aged 16 or 2 adults, 2 children & 1 dog). Buy from your High Peak driver today! Click here to see our Peak Plus Xtra map. B_Line is a concessionary travel scheme funded by Derbyshire County Council and Derby City Council. If you are aged 11-16 you will receive your pass from your school. The B_Line 1 card gives you 33% off all adult fares. To find out more about B_Line please click here. The igo pass is a concessionary pass available for 11-16 year olds, it costs £5 and you can only get one if you live in or go to school in Greater Manchester. The igo pass gives concessions on tickets such as the System One Junior Bus Saver season ticket. The igo pass must be presented in Greater Manchester to qualify for child fare. If you hold an NUS Extra or NUS Apprentice Extra card, you can get 15% off standard single and return fares on our buses. Simply show your Extra card to the bus driver when you board the bus. To qualify for an "NUS Extra" card, you need to be a student and pay the £12 annual membership fee. For more information on how to get an NUS Extra card click here. Looking to save money whilst you travel with High Peak? Sign up to our new discount card for under 21's and save 15% off standard single and return fares. Membership only costs £3 (plus £1 p&p) for one year and is valid on most Centrebus and High Peak services. Simply present your discount card to the driver each time you board the bus and you will receive a discounted fare. If you make the trip 20 times in a year that's a saving of £6! Your discount card is valid on all High Peak services. The 15% discount only applies to Standard Single and Return Fares. It does NOT apply to Day, Weekly, Monthly or any other longer term season tickets. Under 21's discount card offers no preferential priority for travel rights. Under 21's discounts are available only to members who have paid the annual membership fee. Discount Card membership is not transferable, and membership will be cancelled without refund where misuse is identified. The Under 21's discount card must be presented and held at all times when travelling if a discount fare is to be applied. No refund of the membership fee is available for customers who wish to end their membership before expiry. Before applying, prospective members must ensure that membership is of value to them and applies to the routes they intend to use. No refund of membership will be given in the event of subsequent route changes or network variation, including the transfer of services to other operators by a local authority. Please note that lost discount cards cannot be replaced, and a new card will need to be purchased. Our Travel Club offers great savings for regular, and not so regular, customers travelling on High Peak services. Club discounts are available on most of our services. Travel Club membership lasts for 12 months from the date you join. Short term membership for one month is offered locally to some customers. Membership for 12 months costs £10, and then you get access to discount travel and special offers, including 15% off standard single and return fares when you travel on any High Peak service. Present your membership card (which we will send to you a few days after your application is received) to the driver each time you travel, to receive a discounted ticket. With Travel Club a standard £2.60 fare will only cost you £2.20, giving you a saving of 40p. If you were to make the same journey twenty times over two months, you would make a saving of £8.00. The savings soon start to mount up! Please note that the 15% discount only applies to Adult Single and Adult Return tickets. It is not applicable to any Weekly, Monthly, Termly or Annual season ticket fares. The Travel Club discount does not apply to Child fares. Travel Club is valid on all High Peak services. For details of acceptance outside of the High Peak area on Centrebus services please click here. Online membership applications are now being accepted. Please use the link below. The annual membership fee is £10, and a £1 postage/booking fee is applied. Before applying, please ensure that Travel Club discounts are available on the routes that you use, as not all areas are currently offering discounts and some routes are excluded (see above). Travel is subject to our normal terms and conditions of carriage. Please note that lost membership cards cannot be replaced, and a new card will need to be purchased. Alternatively, you can join Travel Club by sending a cheque for the sum of £11.00 payable to Centrebus Ltd to: Customer Services, 43 Wenlock Way, Leicester, LE4 9HU. Please remember to include details of your name and address so we can send your membership card to you. A Travel Club discount card offers no preferential priority for travel rights. Travel Club discounts are available only to members who have paid the annual membership fee. Discount Card membership is not transferable, and membership will be cancelled without refund where misuse is identified. The Travel Club discount card must be presented and held at all times when travelling if a discount fare is to be applied. The Derbyshire Wayfarer is a day rover ticket allowing virtually unlimited bus and train travel throughout Derbyshire for a whole day. Day returns are sold on most of our services and offer travel back later the same day at a discount price, usually giving a saving of up to 30p and in some cases even more. Period returns offer return travel for customers not travelling again on the same day. Ask your High Peak driver as you board the bus. Period returns are valid for 28 days since purchase. The TFGM wayfarer can be bought anytime from PayPoint retailers, TFGM travel shops and train stations. The wayfarer can be used in Greater Manchester and parts of Cheshire, Derbyshire, Staffordshire and the Peak District. 25% off the price of two adult returns for two people travelling together, plus at the weekends and school holidays 2 children under 16 can travel for free! If you usually buy a return ticket, take a friend with you and you can save 25% on the price of two returns. At weekends and school holidays you can take two kids (up to the age of 16) for free. Period TANGO! returns are valid for 28 days since their purchase.